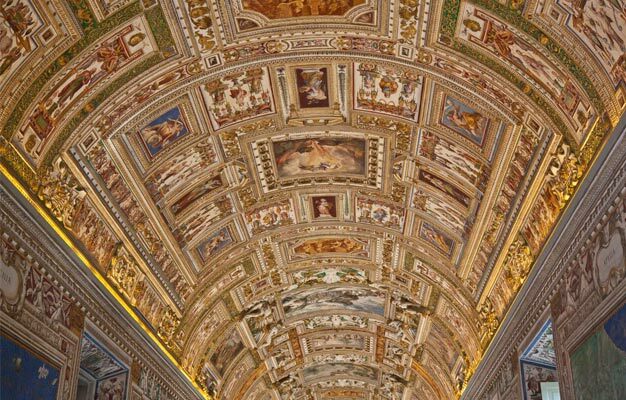 Enjoy this extended Vatican tour, which includes the Bramante Staircase, Sistine Chapel, Pinacoteca and St. Peter's Basilica. It's a must for anyone who are looking for an in-depth tour of the Vatican Museums. Skip the line to the Vatican Museums and save your precious time in Rome. 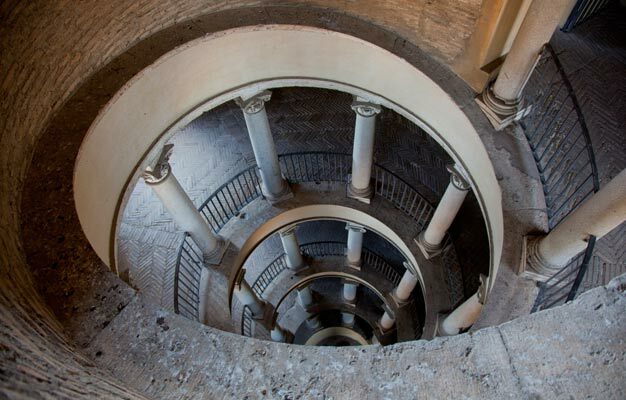 The tour starts with a rare access to the famous Bramante Staircase, a dizzying spiral of carved stone built in 1512 inside a square tower. Few have ever set foot on it these days, making this visit particularly special. Admire the beautiful paintings of the Vatican Pinacoteca painting gallery, including Raphael’s ‘Transfiguration’, Caravaggio’s ‘Deposition from the Cross’ and Leonardo Da Vinci’s unfinished ‘St. Jerome in the Wilderness’. You'll naturally visit everything from the Pinecone Courtyard to the Gallery of Tapestries, the Gallery of the Maps, the Gallery of the Candelabra and a highlight of any tour – the Raphael Rooms. Your tour of course also includes the Vatican Museums’ most famous room, the Sistine Chapel. Here you’ll have time to yourself to take it all in. Last stop on your tour takes you through a special door in the Sistine Chapel and past another long queue to gain access to St. Peter’s Basilica. Every day but Wednesday, you’ll have a guided tour inside this colossal building – one of the most important in all of Christianity and home to Michelangelo’s famous sculpture, ‘La Pieta’. The tour starts at the bottom of the wide steps across the street from the entrance of the Vatican Museums. The steps are located between Caffè Vaticano and Hotel Alimandi Vaticano, on the corner of Viale Vaticano and Via Tunisi. The tour ends at St. Peter’s Basilica in St. Peter’s Square. On most Wednesdays, when the Basilica is closed, the service ends at the Vatican Museums entrance. The tour lasts 4.5 hours. Which languages is the tour available in? The tour is available in English, German and French. Yes, entrance into religious sites requires a strict dress code. Knees and shoulders must be covered for both men and women. City Wonders and Ticmate cannot be held responsible for refused entry due to improper dress. - Extra measures may be implemented at some venues due to heightened global security. As a result, we may experience delays in getting through mandatory security checks when entering these venues. Extra measures may also restrict the size of bags that can be brought inside. To avoid disruptions or possible denied entry, we strongly suggest that you avoid bringing large purses, bags, or backpacks on your tour. The Vatican only permits very small bags, and specifically prohibits large bags, tripods, umbrellas, and backpacks. - You can use the free luggage storage area which may result in your having to leave the tour early to retrieve them at the entrance. - On Wednesday mornings and afternoons St. Peter's Basilica may be closed to the public due to the Papal Audience taking place in Saint Peter’s Square. If you who wish to visit St. Peter’s Basilica are advised to travel on another day. The Basilica is also subject to last minute closures for religious ceremonies. When this occurs, we are happy to offer customers a longer tour of the Vatican Museums in keeping with the advertised total length of the tour. While we undertake to tell tour groups ahead of time if there are any planned disruptions to Basilica opening hours, this is not always possible and in these cases we are unable to provide refunds or discounts. - We regret that we are unable to accommodate guests with wheelchairs or any impairments requiring special assistance. We are also unable to accommodate strollers or baby carriages on our group tours. Daily (except Sunday) at 8 AM or 8:45 AM.